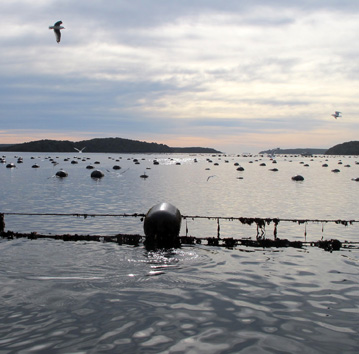 Delicious oysters, green lipped mussel and King Pacific Salmon are farmed in Big Glory Bay, in the south-eastern corner of Paterson Inlet. Travel to Big Glory Bay where your Skipper will take you on a leisurely cruise around the farms, providing information on processes that take place. 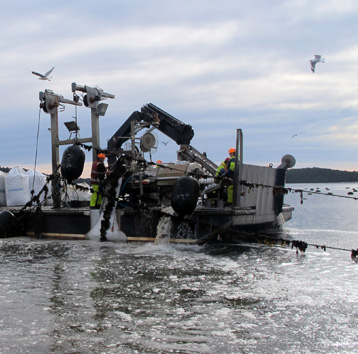 View harvesting of salmon or mussels, subject to whether this is taking place. Enjoy some of the wildlife that make Big Glory their home, where they can enjoy the local delicacies. The produce of the farms can be enjoyed at Stewart Island eateries and is exported overseas. 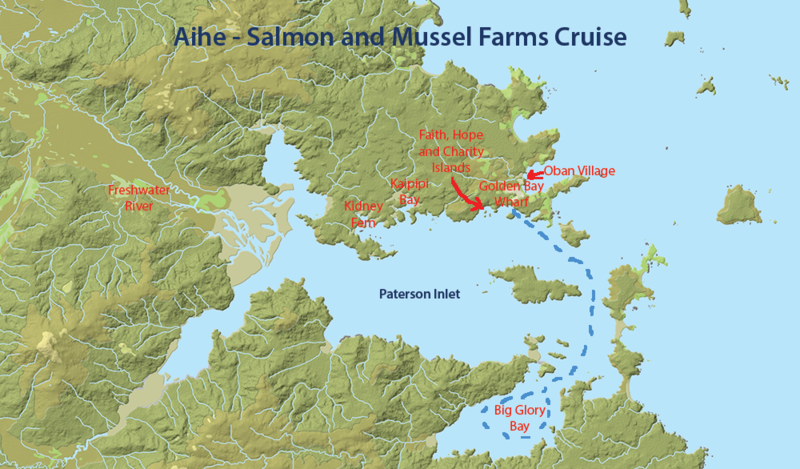 We travel southeast from Golden Bay Wharf to Big Glory Bay, the site of the salmon, mussel and oyster farms. Cruise Delicious oysters, green lipped mussel and King Pacific salmon are farmed in Big Glory Bay, in the south-eastern corner of Paterson Inlet. Your crew will take you on a leisurely cruise around the farms at Big Glory Bay and provide information on the history and working of the farms. 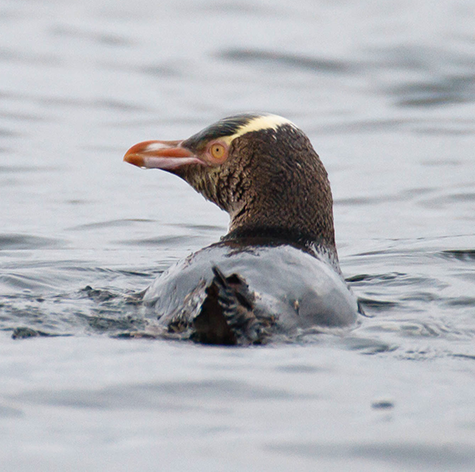 Little blue penguins, occasionally yellow-eyed penguins, white-fronted terns, oystercatchers, Stewart Island shag, spotted shag, pied shag, little black shag. Bottle-nosed dolphins and fur seals occasionally. Available All year round, subject to demand. Times 8.45 am to 10.45 am. Afternoon tours may be available, but harvesting may not be taking place. We cannot guarantee that a harvest will be taking place for you to view. © Copyright 2015 Aihe Eco Charters & Water Taxi.